It's also a special day because it is National Coffee Day!! Anyone who knows me knows that coffee is a delicious habit of mine. I was recently given the opportunity to try some Maison Camus coffee. Whole bean coffee is my favorite. It is more work, but I feel like it is full of more flavors. 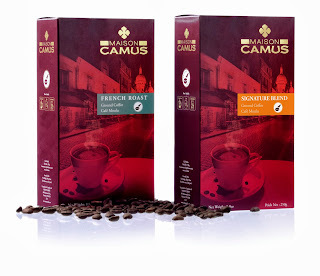 Maison Camus gave me the opportunity to try both their Signature Blend and French Roast. I was also sent a pamphlet of information about Maison Camus and a neat little brochure about coffee in general. Did you know that in order to have the best cup of joe, it is recommended that you drink it right away after it has been made - if it has been brewing for longer than fifteen minutes, you will not be able to have the full amount of flavor. Anyways, Maison Camus is made from only 5% of all 100% High Grade Arabica beans. The beans are grown at high altitudes by "small scale farmers" in South and Central America. Can you believe that the coffee is not only blended by hand, but also roasted by hand? There is a "Roast Master" that oversees this process. All of their hard work certainly pays off! This coffee is absolutely delicious. It is full bodied and super tasty! Not only am I satisfied with the taste, but I am very satisfied with how so much detail goes into making it. V, who is a huge coffee drinker as well and who drinks his coffee black, gives two thumbs up. I did not tell him I was making a different type of coffee one morning - he asked me if I had bought a new one because the coffee was "extra delicious." 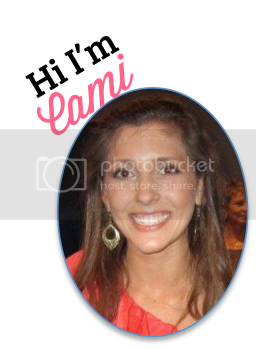 If Maison Camus gets hubby's approval - I think it will get yours as well!